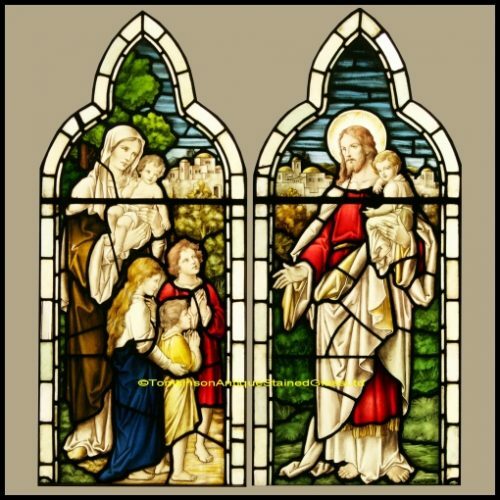 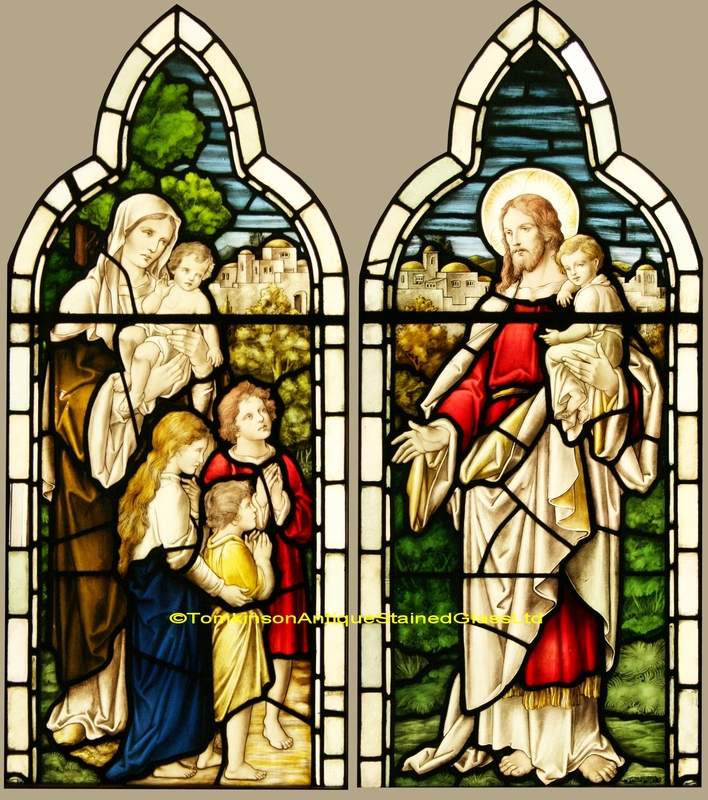 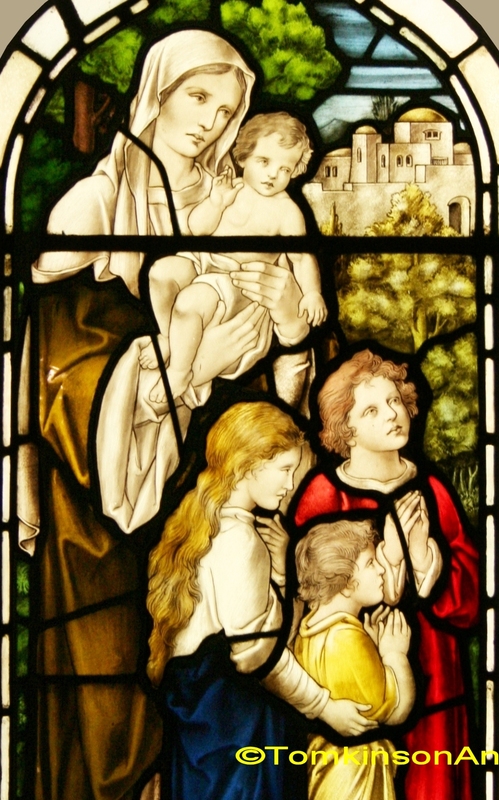 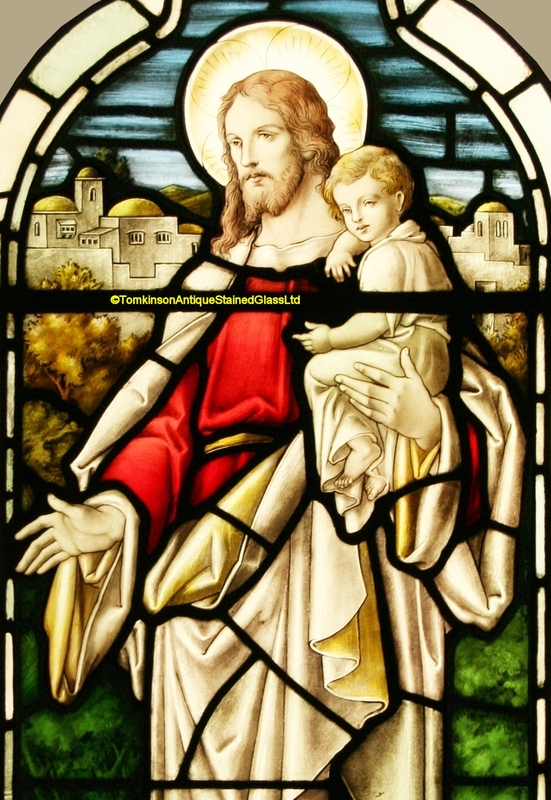 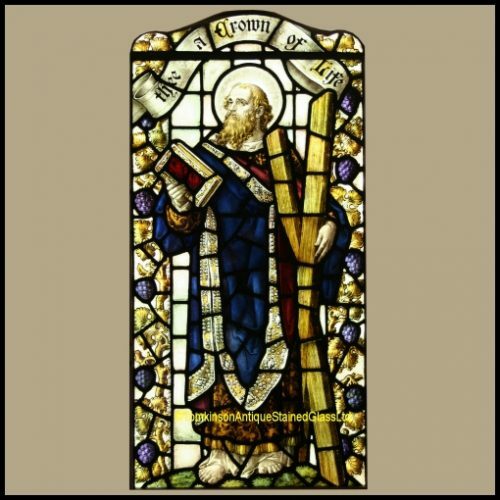 Pair of lancet church stained glass windows, each leaded with coloured glass and hand painted depicting Jesus surrounded by a group of children and with a village scene in the background. 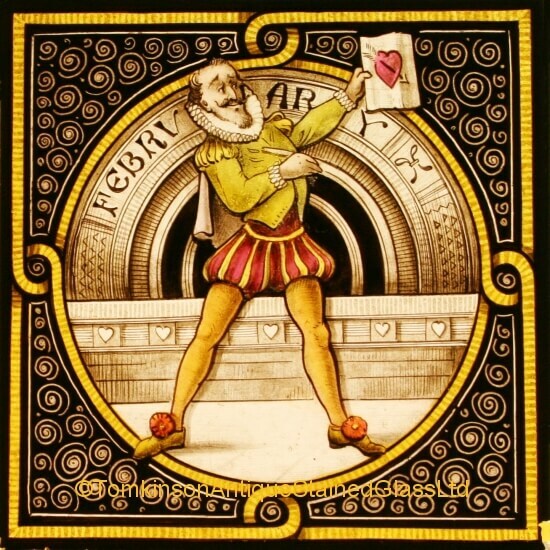 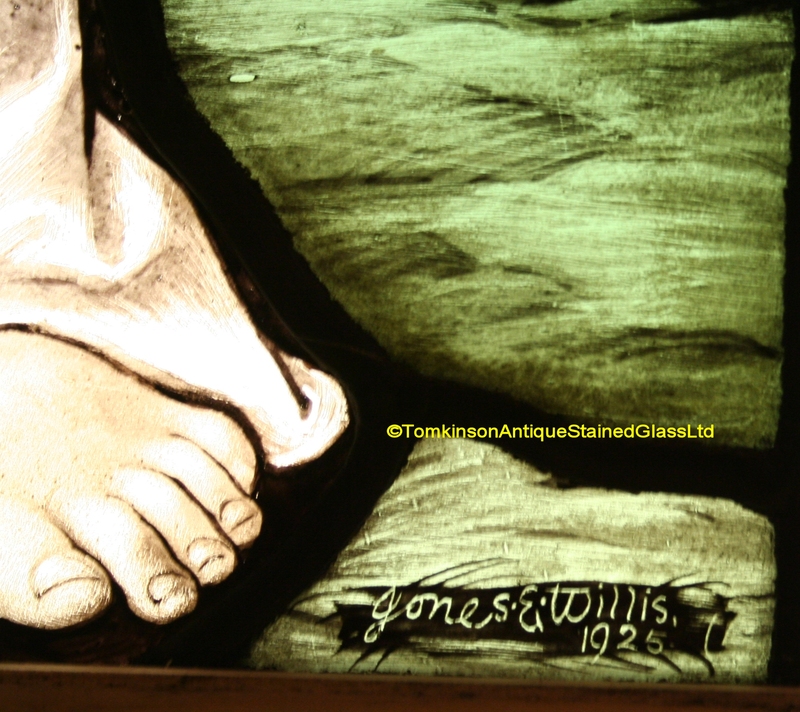 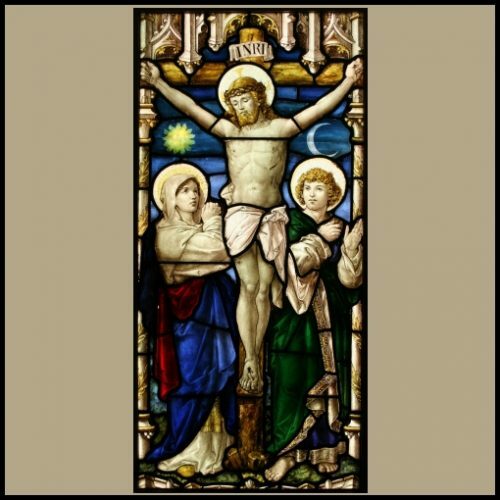 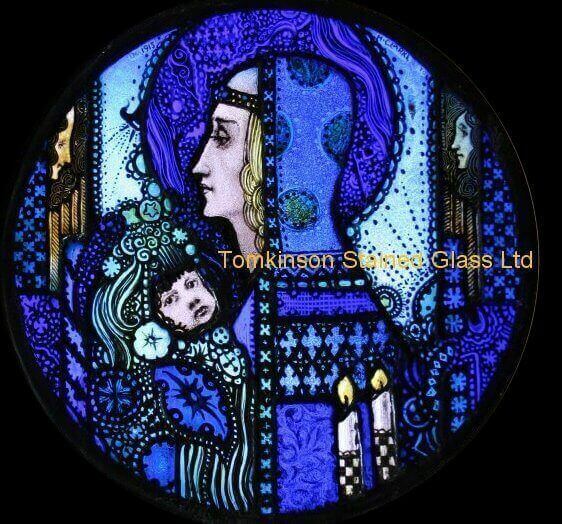 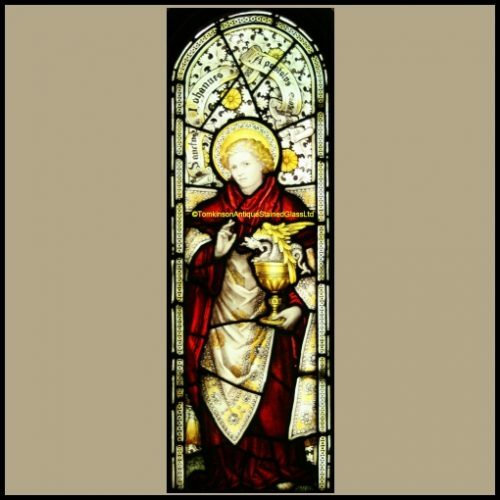 Signed lower left of the Jesus window” Jones & Willis 1925″. 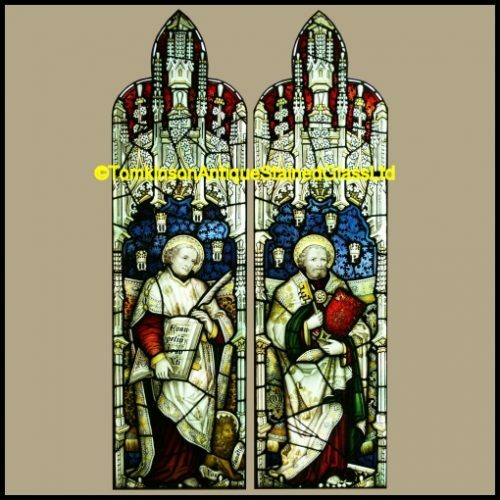 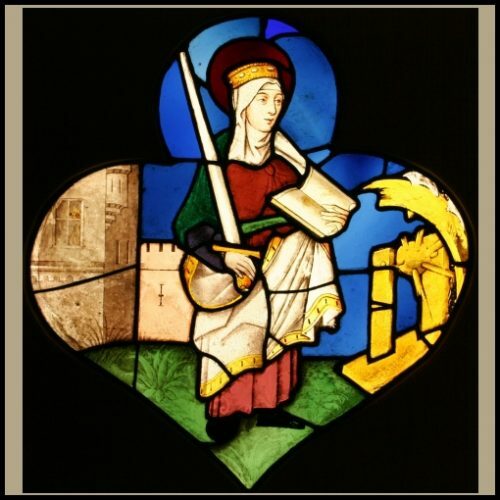 Lovely decorative windows with both in excellent original condition.